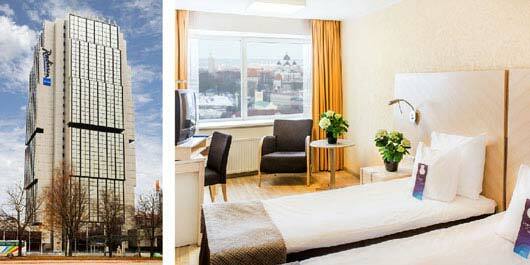 Conveniently located in the heart of the business district, this hotel in Tallinn is just a few minutes from Lennart Meri Airport and Tallinn’s harbour. Hotel guests can step back in time in Old Town or spend a busy afternoon browsing in several nearby shopping centres. 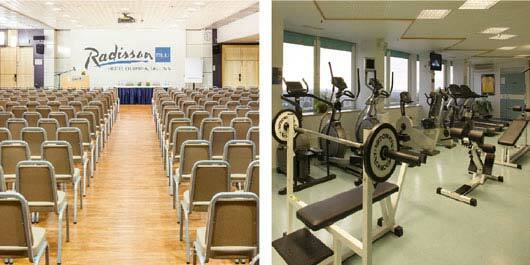 The hotel provides expansive meeting spaces perfect for conferences and other events. The hotel features Club 26 fitness centre, which oﬀers a gym, 16 metre heated indoor swimming pool, massage services, sauna and solarium, all with breath-taking views of the city.